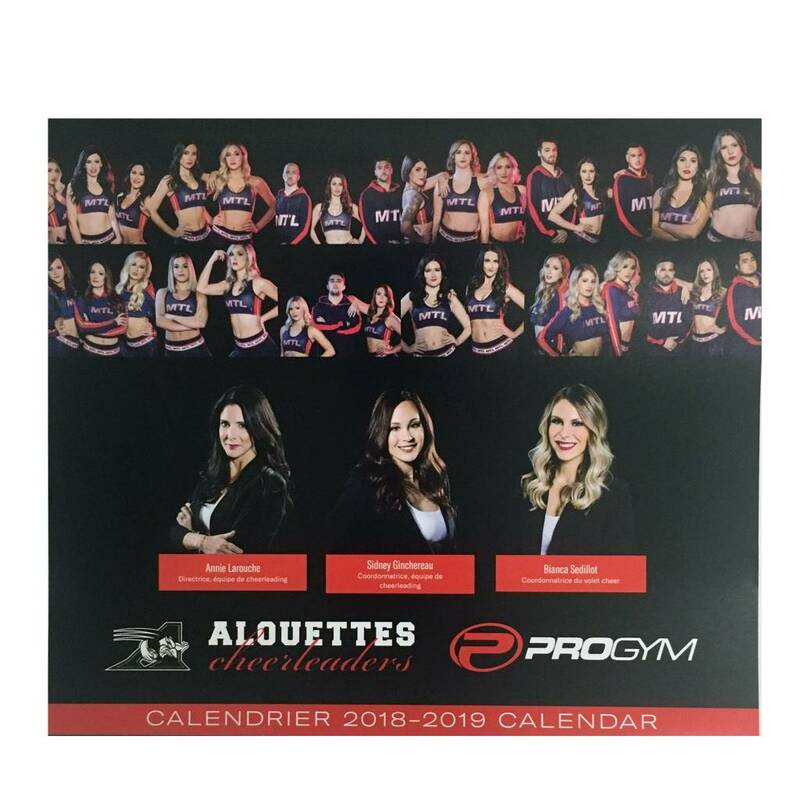 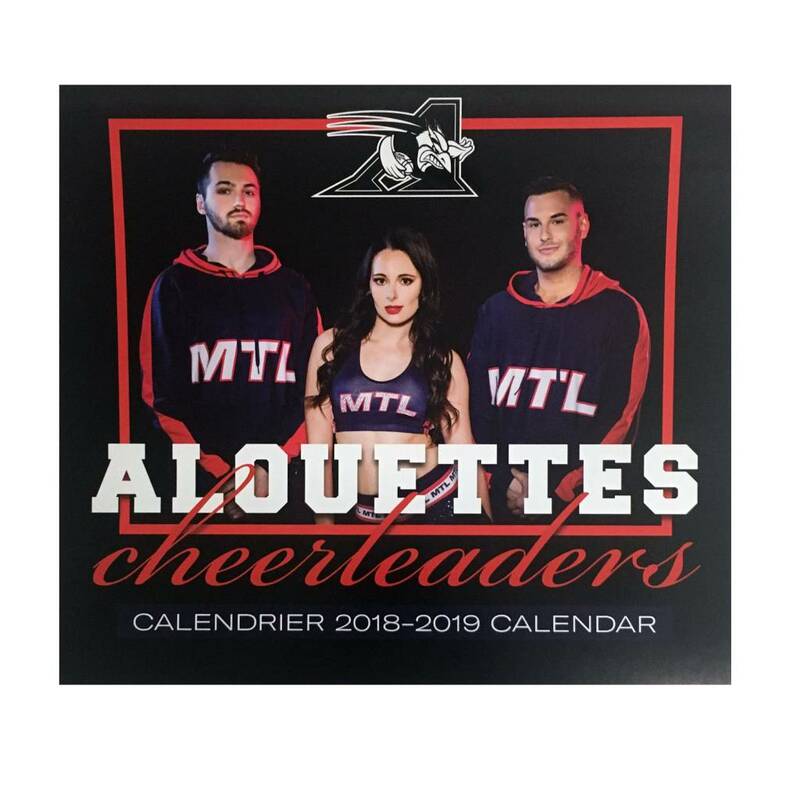 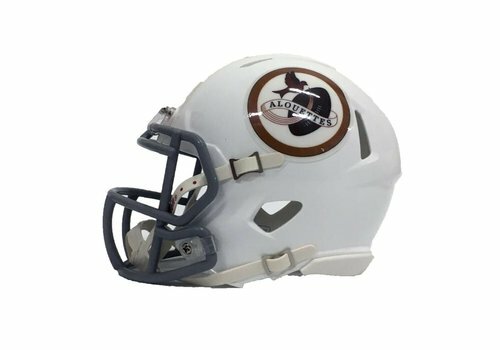 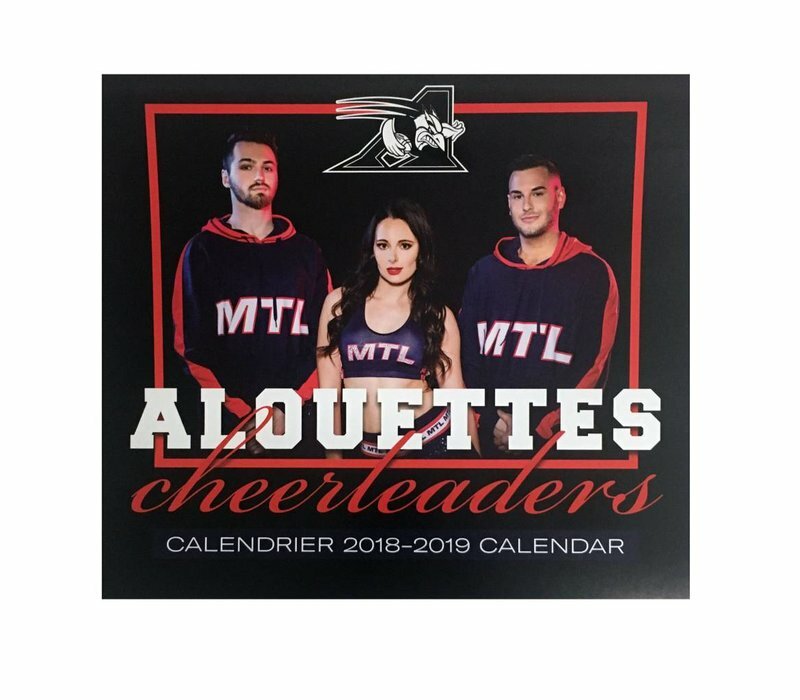 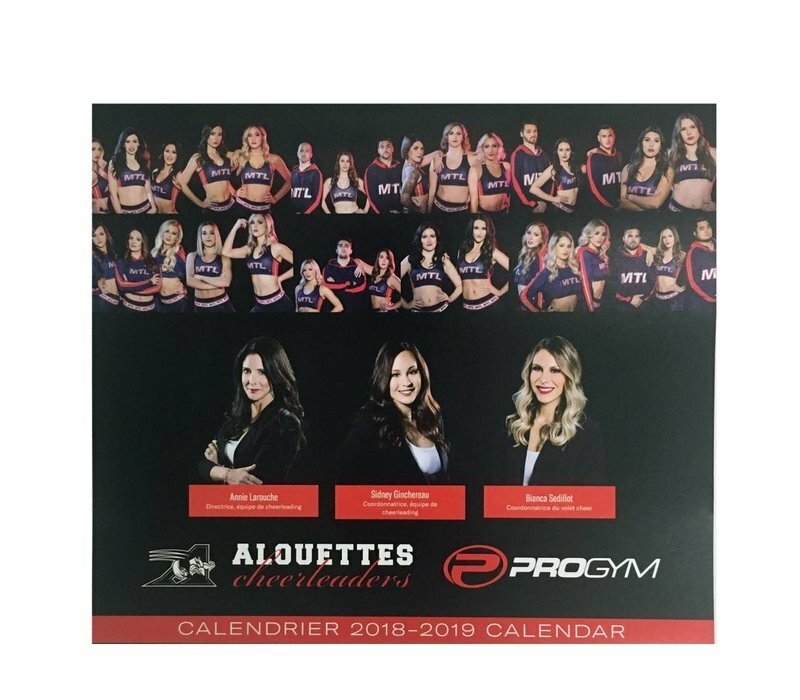 Buy your 2018 Alouettes Cheerleaders calendar now ! 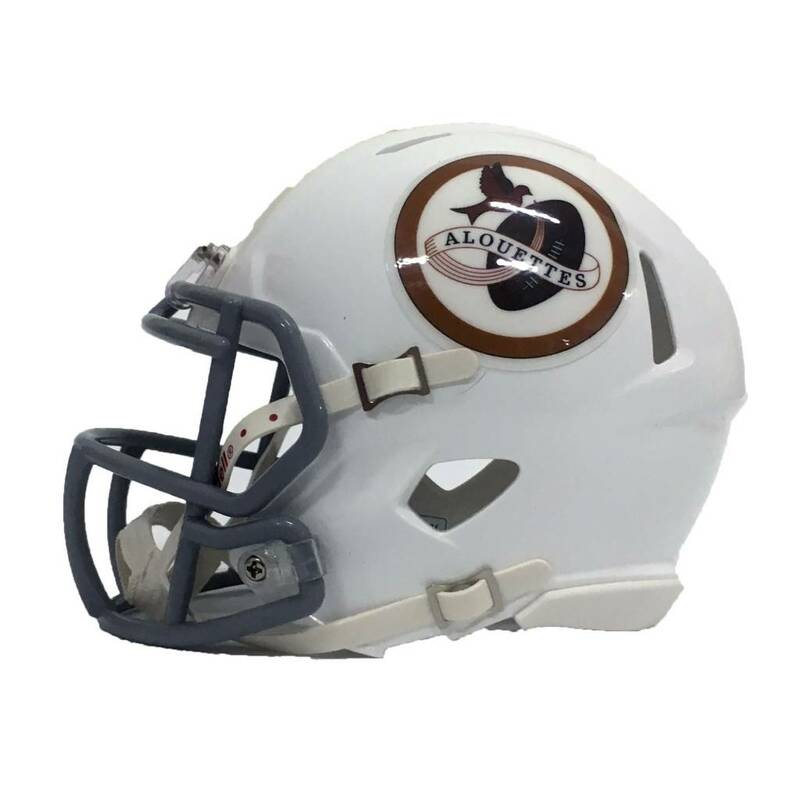 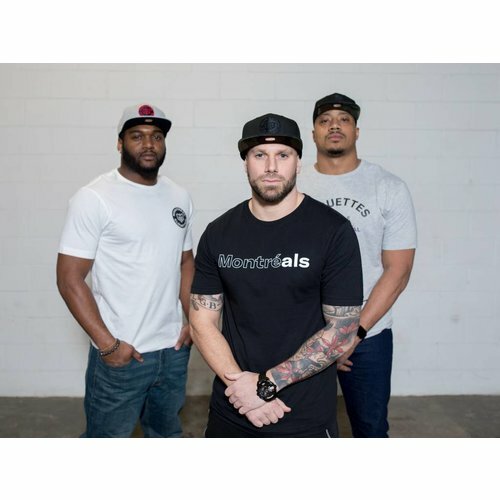 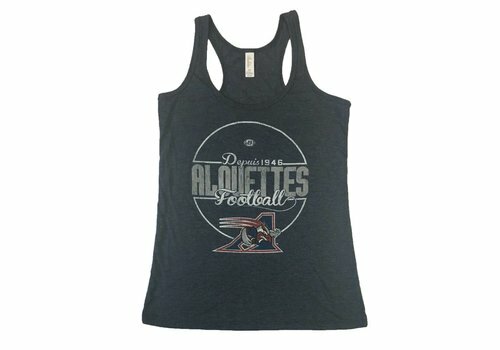 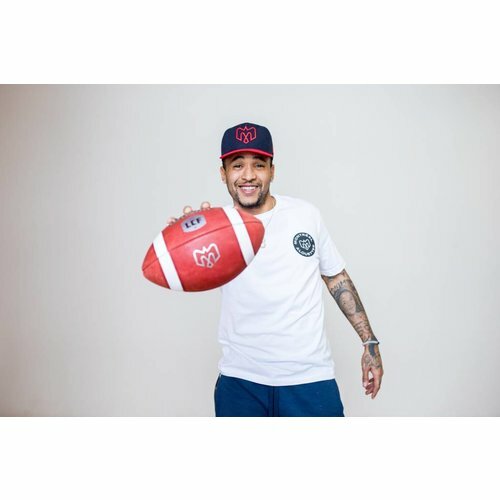 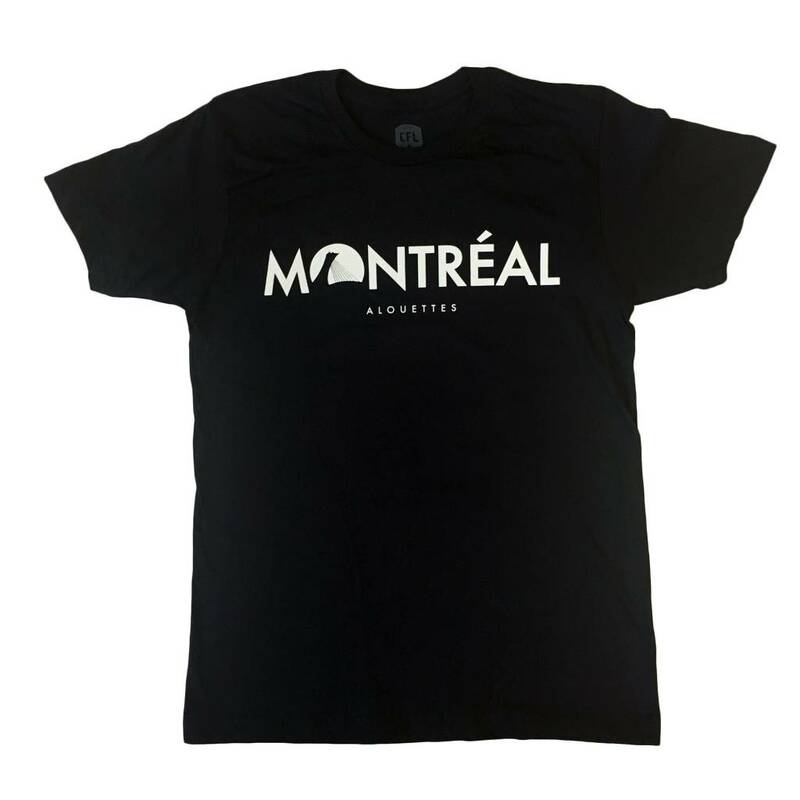 Men's navy t-shirt with printed "Montréal Alouettes" in white. 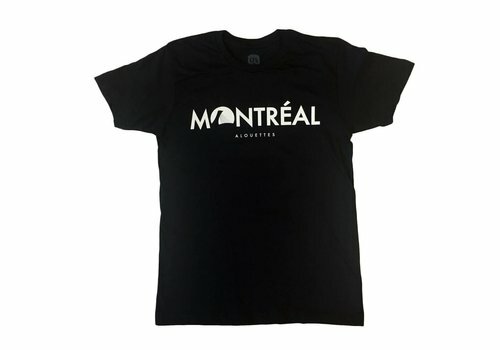 The silhouette of the Olympic Stadium is featured inside the text. 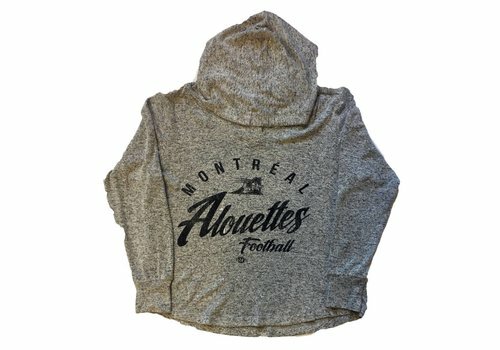 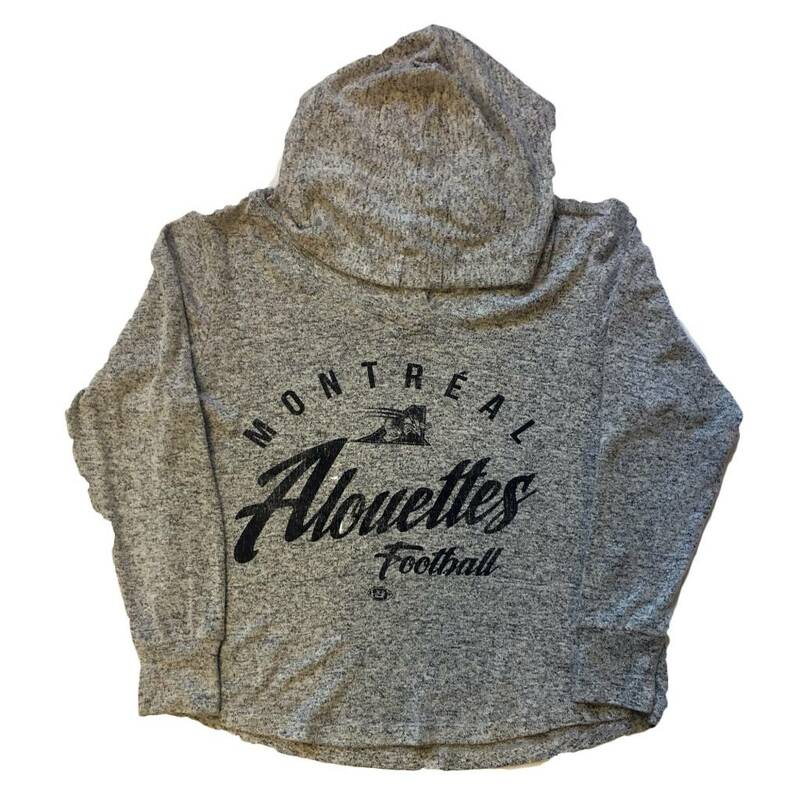 Women's light weight grey hoodie with printed logo and team name in black. 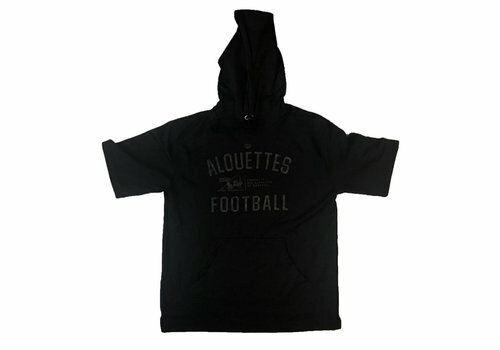 The hoodie features a rounded hem that is longer in the back. 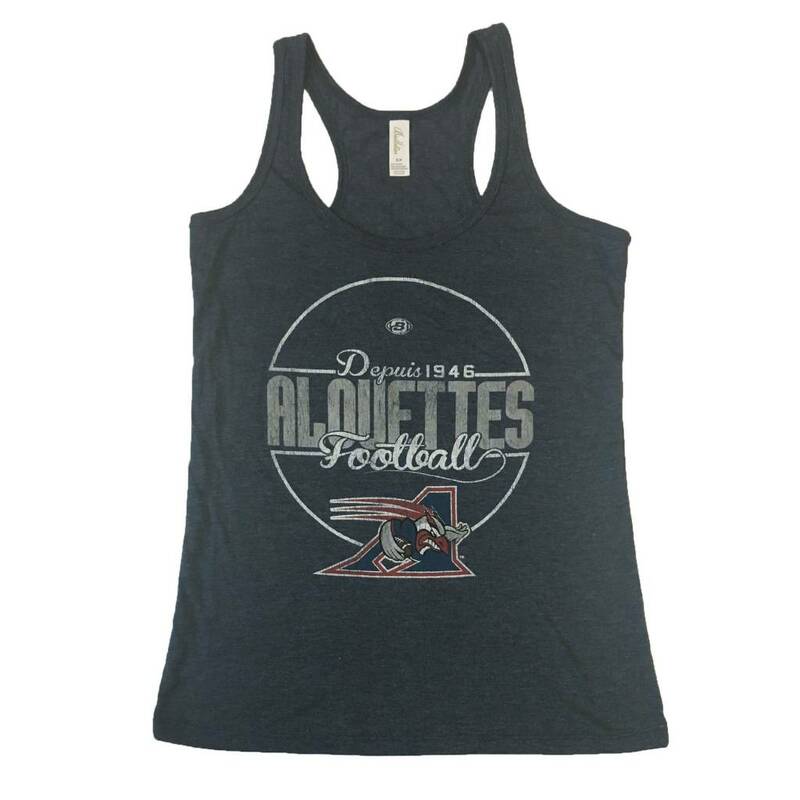 Women's racer-back tank top with printed logo design on the chest. 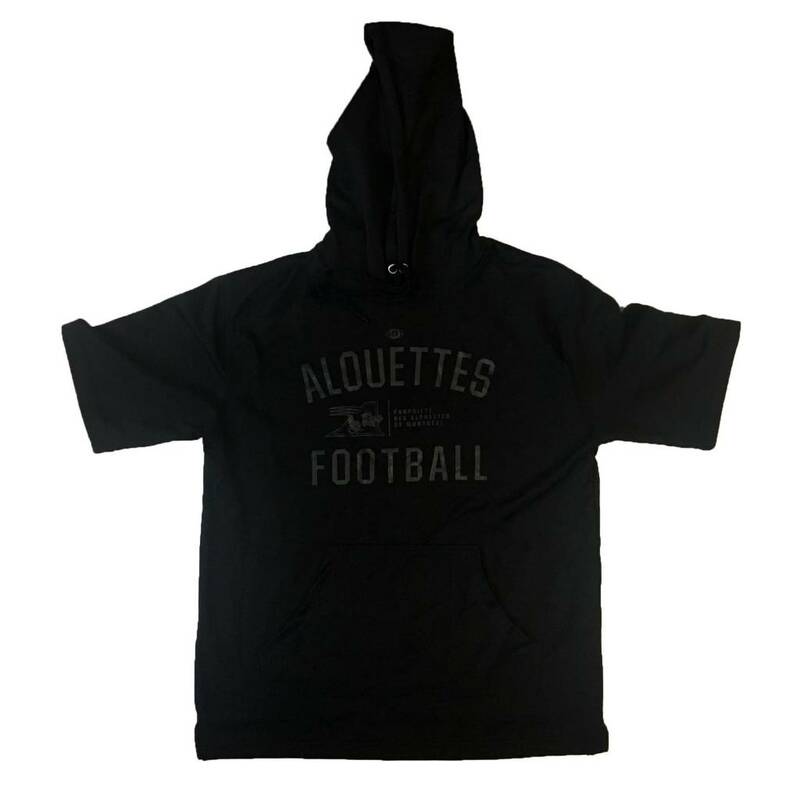 Men's black hoodie with short sleeves featuring printed logo and team name in black.